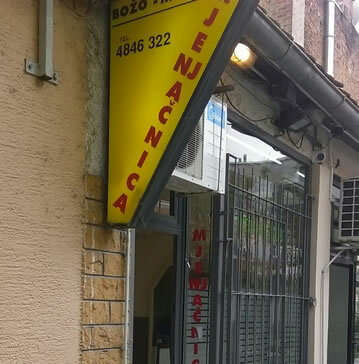 with headquarters in Zagreb, 21 Cernička street. – The only founder Ltd. The exchange office in Ilica 65 (GULDEN) has been operating since April 1997, and the exchange office in Ul. Grada Vukovara 17 (BOŽO) since April 1998. Working hours: weekdays from 8 am to 7 pm, Saturday 8 am to 1 pm. Working hours: days from 8 am to 8 pm, Saturday from 8 to 2 pm.